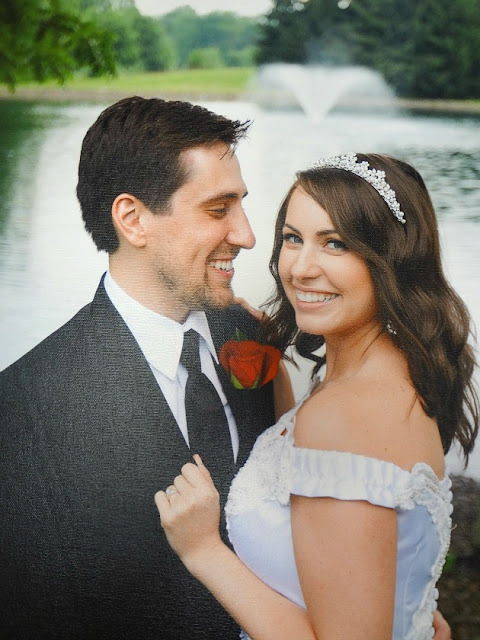 Fun fact: after you get married...there are a lot of wedding pictures. And you want to put them up. So you have to order prints. 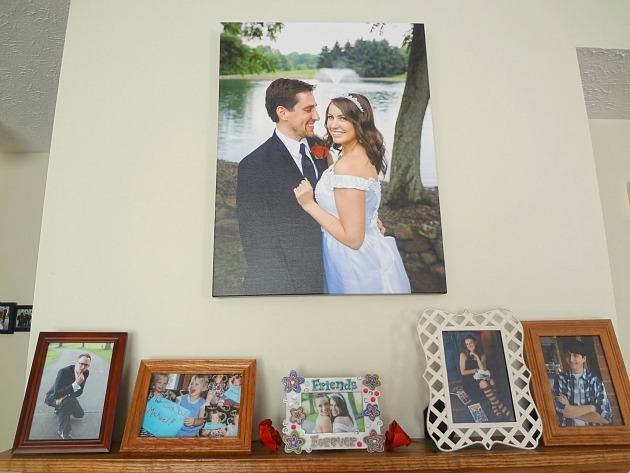 And I was lucky enough to be able to order the majority of my wedding prints from AdoramaPix-a staple in the photography community (based out of my old stomping grounds, NY!) with unparalleled quality and fantastic prices! (Seriously...some of the most inexpensive photo printing prices that I've seen). Although I ordered a bunch of different prints from AdoramaPix, the biggest thing that I got myself was a canvas print to hang above our fireplace. Since this picture is the centerpiece of our house...it was important that it turned out just right! The good news is AdoramaPix gave me everything I needed to create my perfect canvas. First I had to upload a high resolution image (and I learned that most images are sized for a maximum of an 16x20 print, luckily AdoramaPix's amazing customer service were able to take the image I gave them and create a larger file size that would give me better resolution at a larger print size! Seriously...the customer service team is above and beyond, they totally went out of their way to accommodate me at every turn!) and then I chose the size--there are existing size options but you can also do a custom size! We ended up going with a custom size: 18x24, large but not too large (and then you crop the photo as needed to fit the size you choose). Finally you have to choose what you want around the edges of the canvas--you can stretch the picture continuously around the borders, have it mirrored, or pick a color (the default is black, changing it is a smidge complicated--but usually black is the best choice anyway). My initial instinct was stretched, however Michael preferred the idea of a crisp black border and I have to say...he was right! After making all these decisions you can view a preview of your print in 2D or 3D and then you place your order and they work their printing magic! I've seen canvas prints made by other companies, and they usually seem too obviously...canvas. Like-there's tiny places where you can see the texture of the canvas and the picture on it seems ever-so-slightly different. This is not the case with our canvas from AdoramaPix-it is vibrant, the colors are perfectly saturated, and it's just GORGEOUS. Michael agreed that you can really see the difference in quality. And that's the case in all the other prints we ordered from them. 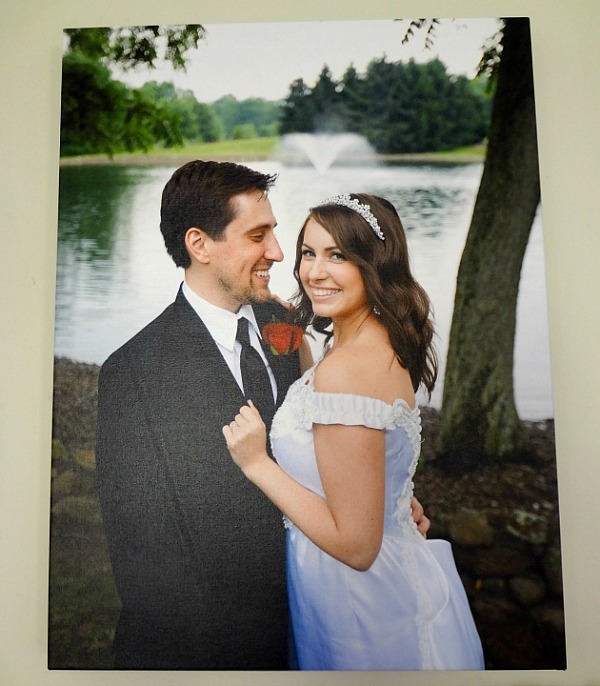 And canvas and photo prints aren't all they do--AdoramaPix also has photo collages, metal prints, acrylic prints, framed prints, photo mounting, cards, calendars, and even photo books! It's seriously like a one-stop shop for all your picture printing needs! I love the idea of using the photo collage feature to create a collage of my food photography or instagram pictures someday, or using the metal prints for photography to put up in the bathroom (so it wouldn't get hurt by any errant splashes from the bathtub). I could not be more thrilled with my AdoramaPix experience and now one of you lucky readers can win your very own 18x22 canvas print! Disclaimer-I was provided with AdoramaPix credits to facilitate my purchases for this review. I received no other compensation and I was under no obligation to write a positive review. All opinions are, as always, my own.